Learning a piece of music well requires careful, focused attention from the very beginning. A sloppy, undisciplined start is an invitation for mistakes, corrections, and almost certain frustration later on. The more discipline and care you put into learning a piece correctly, the better you will play it and the more you will enjoy it. Music exists in our ears, not on a page. Starting to play a piece without knowing how it sounds is like trying to paint an unfamiliar landscape blindfolded. If you are learning a well-known piece that has been recorded, listen to as many recordings as you can. If you don’t have recordings, play through the melody until you can sing it. Then, play through the bass line, other voices, and/or chord progressions. Don’t worry about fingerings yet. Try to sing more than you use your instrument at this phase. Your voice is an extremely useful tool in learning music regardless of your singing ability. Start by considering interpretive possibilities from the very beginning. Ask yourself, where is the climax or high point of the piece? Are there any key changes, time signature changes, or big contrasts between sections? Within what tempo range does the piece seem to work best? What sorts of techniques does the piece employ (for example, arpeggios, chord-melody, tremolo, etc.)? Though it might not be obvious at first glance, most music has a clear form that features repetitions and variations. Define the sections of your piece and map out the structure. When learning from a score, assign a letter to each major section, so that a piece might have a form of “AABA” or “ABACA”. In addition to sections that are repeated exactly, you might find that a melody is transposed to a different key or otherwise altered. Once you’re familiar with the sound and overall structure, approach the next steps one segment at a time. If possible, the segments should be phrases that are complete musical ideas in themselves, like a sentence or paragraph in writing. Sometimes you’ll need to divide phrases into even smaller ideas to make them digestible during a single session. Deciding on appropriate fingerings early on makes our lives infinitely easier when we arrive at the polishing stages of a piece. Good left-hand fingerings connect the melody smoothly, encourage seamless position shifts, and minimize tension. Balanced right-hand fingerings use all four fingers (thumb, index, middle, ring), avoid chronic repetition, facilitate consistent tone, and employ comfortable string crossings. Often there is no single correct way to finger a passage, but there are certainly some helpful guidelines to follow. If you're a beginner, your teacher will probably dictate your fingerings. As you progress, you will want to try deciding them yourself, and then run them by your teacher for approval. Coordinating intricate hand movements to produce a unified effect is similar to choreographing a dance production -- on the scale of a fretboard rather than a stage. Positions, transitions, and destinations have to be well-defined from the very beginning. Only when everyone knows their places can you begin to put things to music. Before you begin to play in rhythm, play a segment very slowly and pay attention to your accuracy, connectivity, and tone. If there are parts that are difficult to connect or play cleanly, consider different fingerings. Always strive for maximum relaxation and minimal effort. Press down the frets with just enough force to make the notes sound, and no more. Be alert of any tension creeping into the hands, arms, or body. If anything feels tense or awkward at this stage, increasing the tempo is not going to make it any easier! Resolve technical issues now, and trust that when you feel good playing, you will naturally sound good too. Once you’ve got the choreography down with ease and relaxation, you can finally start to play in rhythm. Start slowly and experiment with your phrasing and interpretation ideas from the beginning. As you bring individual sections up to tempo, connect them with other sections. Linking one phrase to another demands the same focused attention that learning a phrase individually does, so don’t neglect those transitions. Pay attention to the range of the dynamics of the piece. For example, if you want to grow to your peak volume near the end of the piece, make sure you start softly and back off right before you begin that climactic growth. We often need to exaggerate more than we think to ensure that devices such as tonal contrast and tempo changes are perceptible to the listener. Record yourself frequently to check that your interpretive ideas are coming across. Many players find the final, polishing stage of learning a piece the most difficult. Progress seems to slow and become less exciting than it was in the early stages. However, it’s these subtle, final improvements that can elevate your playing to artistry. At this point, part of the trick is to keep practice exciting and fun. 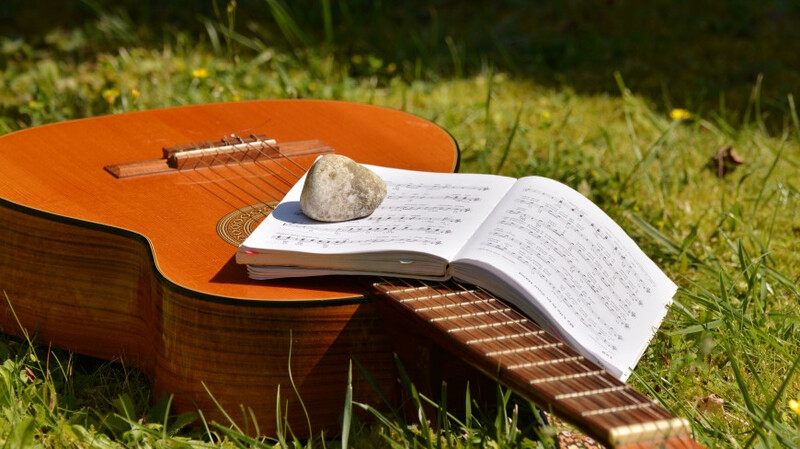 When to memorize a piece depends on the style of music. In flamenco guitar, for example, we don’t learn from written music. Teachers demonstrate, students copy, and we memorize the music as we go. When we learn from written music, it's usually best to memorize after we can play the piece beginning to end fairly smoothly. That helps us develop our interpretation with a clear sense of direction. Some players like to memorize a piece starting with the final phrase and working backward. Using this strategy, we end up repeating the final sections of piece a bit more. Moving into more and more familiar territory as we play works wonders for our confidence and focus on stage. Regardless of the order, memorize by section and learn to start playing from any place in the music by heart. Practice stopping in the middle of a phrase, letting go of the guitar, and then picking up exactly where you left off. This prevents relying too much on momentum and muscle memory. Small errors and memory slips are bound to happen occasionally, but if we can casually move onto the next measure or phrase, the audience will barely notice. Always keep the big picture at the front of your thoughts. By the time you memorize, the structure of the piece should be second nature, and you should be able to sing the melody from beginning to end without your instrument. Know the sound as well as you know the fingerings, and your memory will be much more reliable. Thanks for reading, Ronnie, glad it helped! Join the discussion on the Lessonface forum here. Ready to get started? Choose your instrument below to start checking out teachers. Copyright © 2012 - 2019 lessonface.com. All Rights Reserved. Video clips w/ express permission of teachers, students, and parents.